When I get my new crop of students, I look at each one as an entire being. Am I concerned when they can not multiply two digits together successfully? Yes, but should that concern outweigh other concerns when observing a child? Showing kindness, making thoughtful decisions, and work ethic: these interpersonal assets can be more important than educational skills when students transition into the work force. We are cultivating tomorrow, therefore we must look at our students in the light of what they are, future adults. Yes, we need to teach them the difference between a noun and a verb and how to support topics they believe in, but we also must teach them life-long relational skills. This week, I taught appropriate “Twittering” skills. We spread our social butterfly wings and soared. I am a part of a weekly chat between 4th grade teachers around the globe. #4thchat occurs every Monday night from 8 – 9pm EST. Recently, a few of the educators I share ideas with, brought our classes together to have a student centered discussion on Cynthia Rylant’s Silver Packages. Each class individually read the book and this past Friday our students came together to discuss their thoughts on the book. Prior to the chat, I had to review with my class how to send out an original tweet, how to reply to a tweet, and how to use a hashtag. I used my husband’s iPad for my personal twitter account to pose questions to students, while my class used my CCSD iPad to access our classroom account to answer questions and reply to the other classes involved. I explained to my class that once the chat started, it would move very fast. And it did. 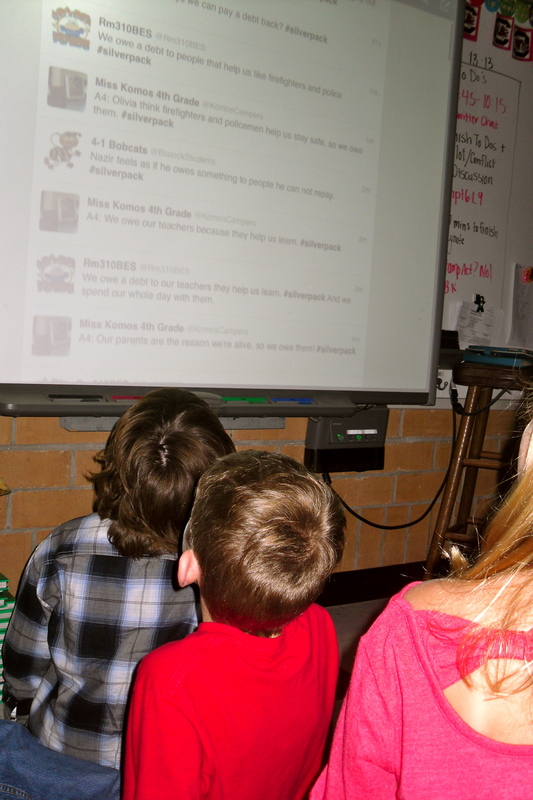 Watching my student’s faces see the first tweet from another class was very exciting. “Wow! They are from Massachusetts!” My students were surprised that we had the ability to interact with students from other states. Every time my students responded in the chat, I would hear a “wow” then a hush fall over the group as they read all of the other classroom’s responses. They were impressed at how many comments occurred while we were replying to a previous tweets. Teaching students appropriate twitter behavior can impact their lives. We reviewed the conversation and “favorited” some comments, such as the fact that another class had a child named Brendan, as do we. I told the class it was appropriate to favorite any comment we enjoyed or believed in as a class. 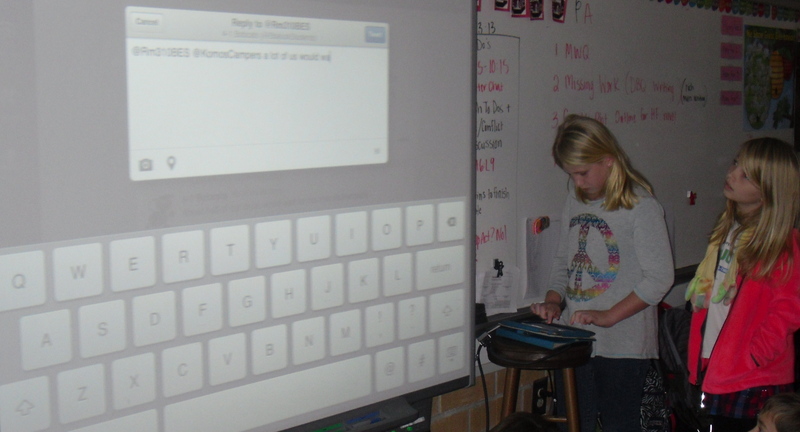 Students read tweets from other classrooms! After the chat, I described how Twitter can be used professionally and for entertainment. The students look forward to interacting with classrooms again in the future. I look forward to teaching them additional appropriate social media skills. Connect with my class @BlalockStudents! « Personalized Learning & Standards: What to do and how you can do it!